Happy Time:Chinese for children series consist of three books and three CDs: Phonetics, Verses and Conversation. Happy Time:Chinese for children-Phonetics. 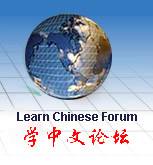 For the elementary Chinese learning, students’ phonetics(Chinese alphabet) is considered as the basis. It helps to remember the pronunciation and recognition of characters. Happy Time: Phonetics is designed for abroad children, age 0-6 who are learning Chinese. It adopts many phonetically teaching methods, and creates a new method which combines organically consonants, words, sentences and children's songs, hence to make the phonetics-studying process more meaningful and interesting to kids. Moreover, the whole book advances in difficult levels, therefore children could master Phonetics easily and happily. Happy Time:Chinese for children Verses. Verses had been traditional Chinese-teaching materials for thousands of years. Nowadays, many parents choose to teach children poems and lyrics, for verses are suitable for reading aloud and fluently, and easy to memorize. That is why we compile Happy Time: Chinese for children -Verses, which could make the abroad children, age 0-6 who are studying Chinese feel more pleasant and interesting. In this book we collect universally praised poems, children's songs, tongue twisters, riddles and numerical songs, with phonetics and simple English notes, which helps the foreign children to learn Chinese. Happy Time:Chinese for children Conversation. This is a basic Chinese conversation textbook designed for abroad children, age 0-6 who are studying Chinese. All the dialogues here are written in terms of children's demands in their lives and studies. By studying this book, children could master a number of ordinary speeches, and to some extent they will be able to communicate with parents, friends and teachers in Chinese. Moreover, the whole book advances in difficult levels; therefore children could acquire gradually some fundamental Chinese words and sentences while they learn to communicate.Happy Time series consist of three books: Phonetics, Verses and Conversation. Their companions CDs are available. This order is for Happy Time: Chinese for Children set which include three books and three companion CDs.